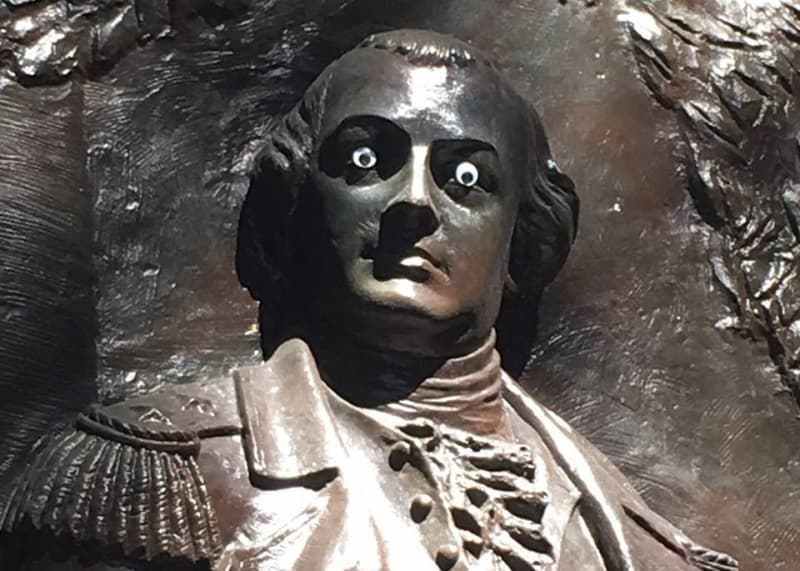 Googly eyes are never not funny. you can stuck them on fresh-ish fish, books, anything in store and statues of Revolutionary War commander Nathaniel Greene. But the City of Savannah is the exception to the tule. The city is unimpressed, by Google Greene, ruling the eyes as “not funny” and “vandalism” on its Facebook page. Police have been called. Forensics are on the case. CCTV is bing monitored in the hope of prosecuting the miscreant for trespassing. Although sources says Mr Greene’s new look is more authentic, and if if teenage acne would be added, it wold be more accurate representation of the great man.